AT&T has been getting heat over their plan to charge users that want to use Apple’s FaceTime video chat app over 3G. Want to run FaceTime on 3G? Then you will have to give up your grandfathered unlimited data plan and pay more for shared data, or not. When it became clear that AT&T wouldn’t allow FaceTime on 3G, at least not without paying more, people complained. Ma Bell doubled down on being weasels by partially sidestepping the issue, insisting that FaceTime is OK but only for customers on more costly plans. 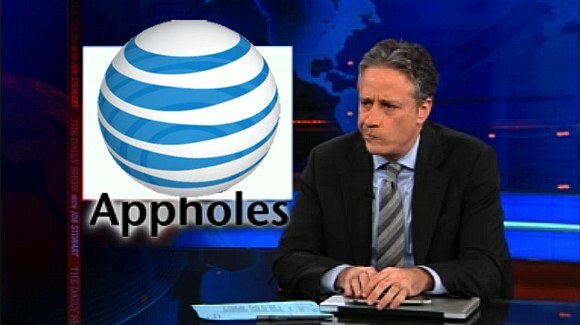 Consumers and activists responded by starting a Free Press petition that demands AT&T not violate net neutrality rules. Specifically, folks called out Ma Bell on net neutrality’s requirement that carriers not charge extra for app-based functionality. The FCC’s net neutrality rules do not regulate the availability to customers of applications that are preloaded on phones. Indeed, the rules do not require that providers make available any preloaded apps. Rather, they address whether customers are able to download apps that compete with our voice or video telephony services. AT&T does not restrict customers from downloading any such lawful applications, and there are several video chat apps available in the various app stores serving particular operating systems. (I won’t name any of them for fear that I will be accused by these same groups of discriminating in favor of those apps. But just go to your app store on your device and type “video chat.”) Therefore, there is no net neutrality violation. There is a loop hole in the rules — Oopies! How did that get in there? — that allows AT&T to charge more for preloaded app functionality. Ergo, ipso facto they’re appholes. Fundamentally, people pay for a bucket of bits and how they use those bits should be up to them. So, don’t go to your app store and type “video chat,” just go to Google, type “T-Mobile 1900MHz” plus the name of your town and search. Why? Because T-Mobile is rolling out the 1900MHz band, which the iPhone requires, in more and more cities. Sooner, later (end of 2012) and maybe even right now, you will be able take your GSM (AT&T) iPhone to the fuchsia-flavored network.